Water is the most important resource we have. We are committed to delivering wasterwater treatment systems that protect the environment while minimizing the cost to our clients. 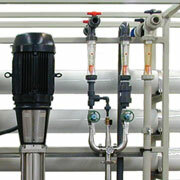 ACE Manufacturing designs and builds the Compact Delpark Waste Water Manangement system. This is an advanced system designed for treating various types of waste water with minimal capital and operational costs. 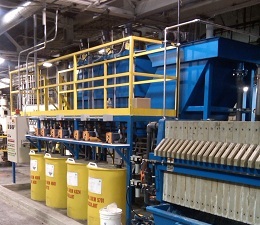 The filter bed approach minimizes plant space requirements and is easy to install and operate. This is a quality stainless steel system using the famous Delpark Filter Bed (trade mark item of ACE Manufacturing, see “Delpark Filters” page for more information) for liquids/solids separation. Ace Manufacturing provides solutions for your facility and your budget. With a thorough understanding of your chemical processes, we can provide a customizedand seamlessly integrated system that is easy to maintain on a daily basis. Each component of every system is carefully selected to provide years of reliability and effluent compliance. Growing concern for environmental protection has put pressure on industrial water users to reuse water within their facilities. 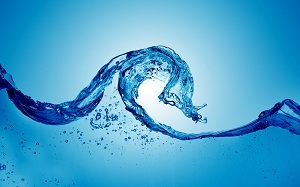 Ace Manufacturing can provide your plant with the technologies to improve operations and water reuse, which can radically reduce costs while lessening the impact on our environment.